Jeff Tonner has authored 2 books. 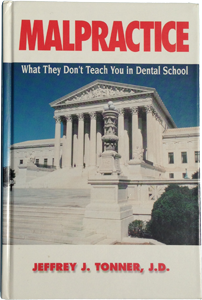 “Malpractice: What They Don’t Teach You In Dental School,” PennWell Publishing Company, Tulsa, Oklahoma. Copyright January, 1996. 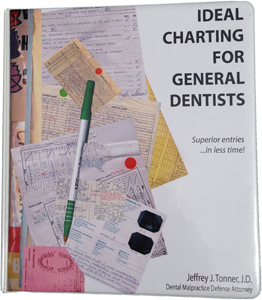 “Ideal Charting For General Dentists,” Dental-Legal Publishing Company, Phoenix, Arizona. Copyright March, 2001. Please contact Jeff’s office at 602-266-6060 if your dental association, study club or dental group is interested in scheduling a unique presentation. Jeff Tonner has defended more than 2,500 cases before the Arizona State Board of Dental Examiners, and has defended dentists in hundred of civil malpractice actions, before all of Arizona’s trial and appellate courts. 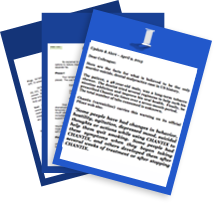 Jeff Tonner regularly assist dentists in drafting buy/sell agreements, reviewing associate dentist contracts and office leases, forming professional and other corporations, and various other business matters. 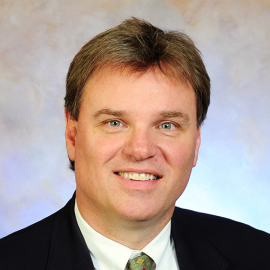 Additionally, Jeff Tonner brokers dental practices in Arizona for Western Practice Sales. For twenty years, Western Practice Sales has assisted sellers throughout Arizona, California, Oregon and Nevada. It is operated by professionals including dentists, MBAs and a dental attorney. For more information, please visit www.WesternPracticeSales.com.